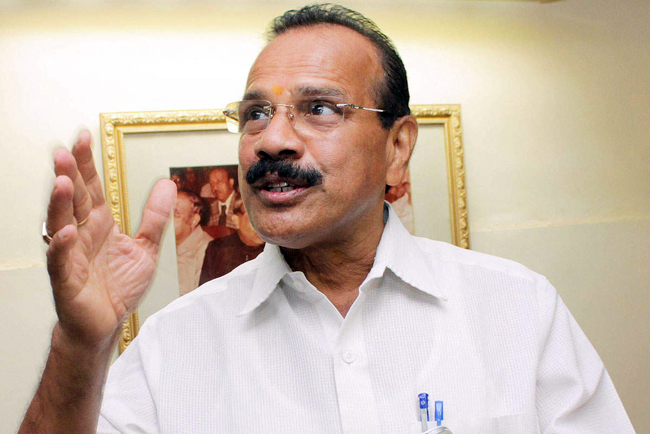 New Delhi, Feb 11: The issue of alleged horse trading in Karnataka echoed in Lok Sabha on Monday as the Congress cited a purported audio clip of B S Yeddyurappa to accuse the BJP of trying to lure ruling coalition MLAs, a charge firmly rejected by Union Minister Sadananda Gowda. JD(S) leader H D Kumaraswamy is the chief minister of Karnataka. "All things uttered (here)... are false and far from truth," Gowda said. For a brief time, Congress members trooped into the Well displaying placards with the message 'Operation Kamala. Death of Democracy' written on some of them. TDP members were also in the Well as they sought to raise issues related to Andhra Pradesh. Despite repeated requests from Speaker Sumitra Mahajan, they remained in the Well. Earlier, the Question Hour was adjourned for nearly 50 minutes due to protests over alleged horse trading in Karnataka and other issues. Gowda doesn't know what he talks. he worst man of Karnataka Yaddi who wants to be CM even without mandate. Man went to Jail, still his supporters cant understand him behaviour.